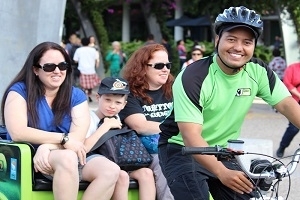 In Brisbane take a Green Cab to the action at Suncorp Stadium, to the Myers Centre and CBD shops, to trendy West End for a coffee, to the Valley for a night out or just meander around South Bank Parklands or sign up for one of our riverside tours. 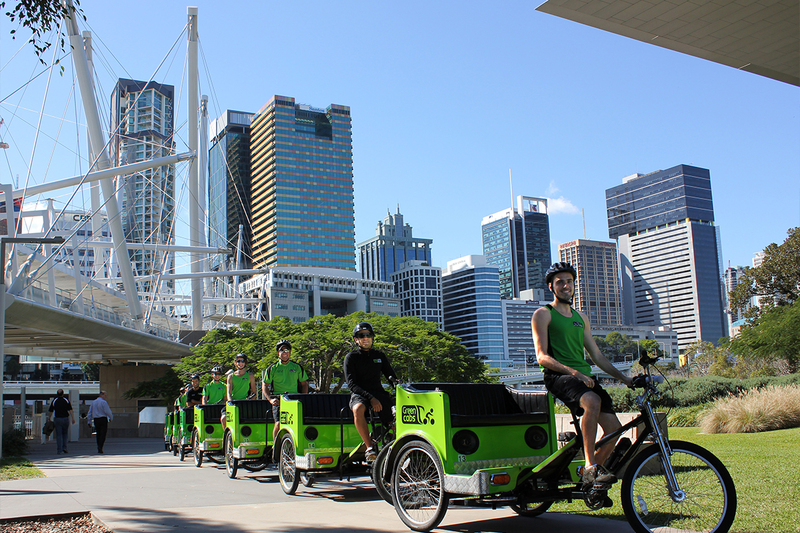 Our cabs show you the sites you will not see from a car or bus as we travel along the cycle paths and through Brisbane’s lovely parks and gardens. 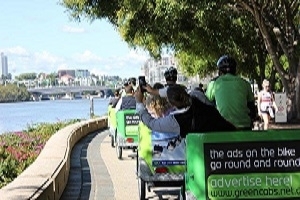 See it all in Melbourne from a Green Cab – Our cabs will take you slowly along the picturesque Yarra to see the sights of South Bank, the Crown Casino, the MCEC and South Wharf. 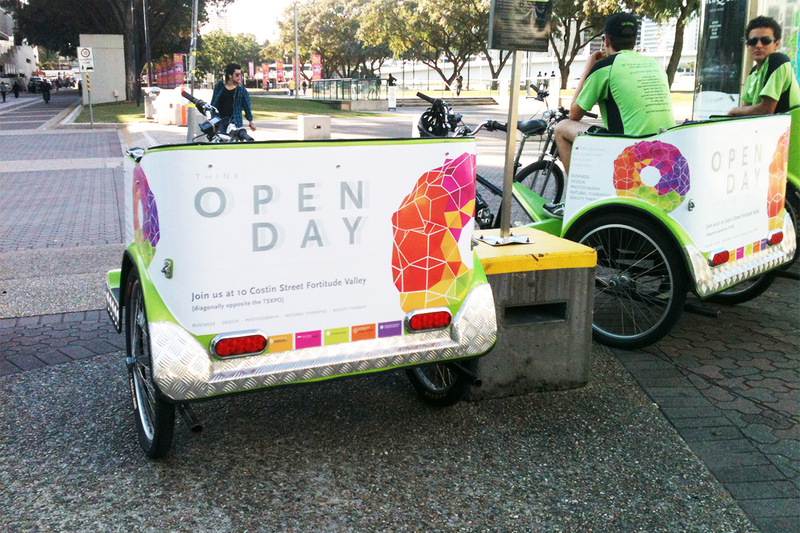 If you want to see it all we can also show you Docklands, Queen Victoria Market and Swanston St plus Alexandra Gardens. Or if sport is your thing we can take you to all the stadiums at Melbourne Park or Etihad Stadium. We’ve got Surfers covered – jump on board for a 15 or 30 minute scenic beachside tour, or let us take you back to your hotel to cap off the night nicely. Our riders can suggest good restaurants and help you find the best nite clubs. 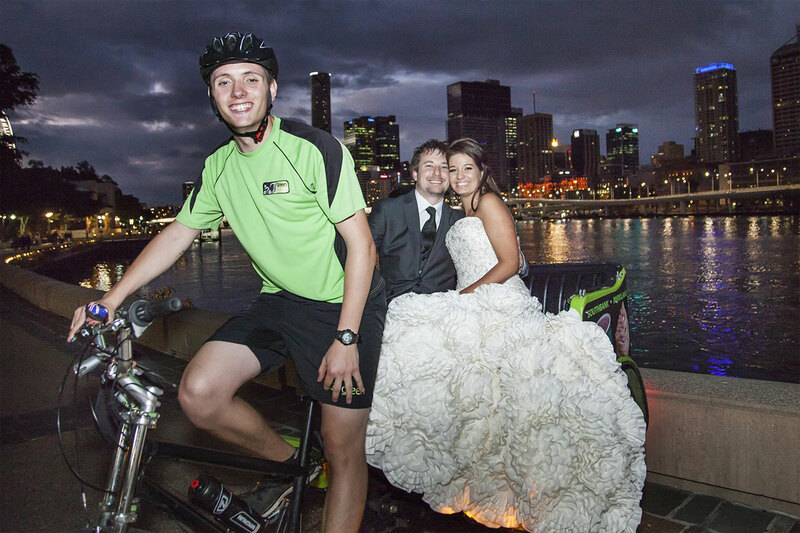 If you really want to travel ask us about a ride to Jupiters Casino, Broadbeach or even Seaworld.